The tradition of Greenland's National Day began in on 21st June 1985, where Greenland also got its own flag. The National Day of Greenland is a day off, so everybody can celebrate the day. It usually includes official ceremonies like speaches, concerts, choir concerts, going to church, drum dancing and kaffemiks. In the later years the celebration has developed into a mix of both these traditional activities as well as more modern events. The Municipality of Sermersooq and the cultural house Katuaq collaborates on hosting the events together with local organisations. 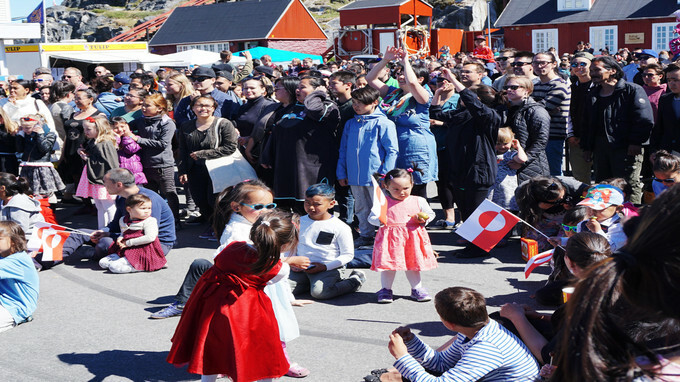 This is a great day for you to experience the complex Greenlandic culture first hand together with the Greenlanders.